About Us | Attractioneering Trading Company | Attractioneering Trading Co.
Carise and Steve are back at it again with another awesome adventure! Ever since their first date at Downtown Disney (now Disney Springs) over five years ago, they’ve been inspiring one another to dream the impossible and to keep moving forward. 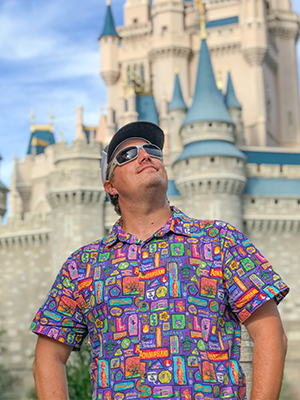 Their common love for all things Disney, theme parks, pop culture and history has led them here, in the wonderful world of theme shirts, epic barware, accessories, and well-traveled goods. While they're no longer directly affiliated with Disney, there was a time when you could find Skipper Steve navigating some botes (yup, that's how they're spelled in the jungle) at The World Famous Jungle Cruise in Walt Disney World. 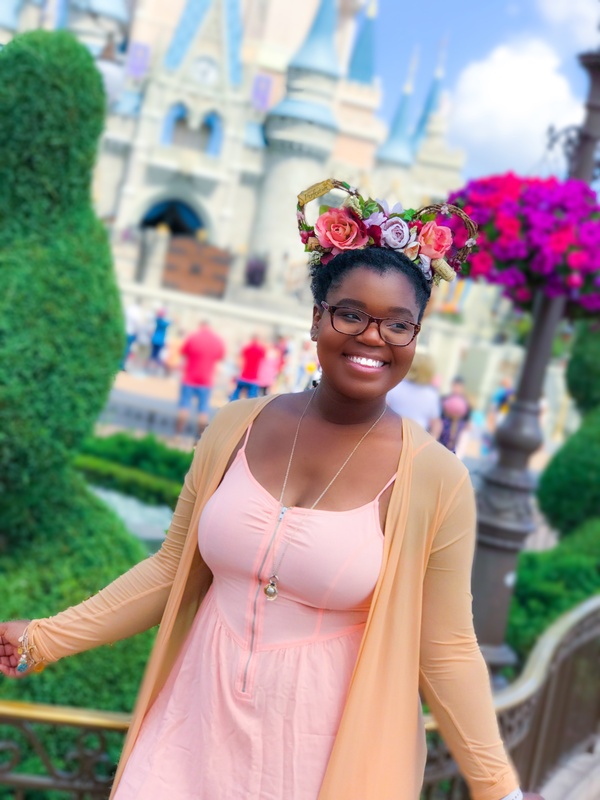 Carise took part in the Disney College Program servin' up Fast Passes at Hollywood Studios when they launched My Disney Experience. The inspiration for Attractioneering Trading Company is simple - trains! As you may already know, Walt loved trains - and so do we. Some of the most significant pieces of Walt’s life were connected by a train; Mickey Mouse, Disneyland, and The Carolwood Pacific just to name a few. We’ve decided to do the same by inviting you to come on board and take an adventure through our steampowered store! Steve, The Disney Fox, is the dreamer of Attractioneering who comes up with most of the amazing ideas you see throughout the store. From the bottle openers to the sunglass straps, Steve has a heavy influence over all of the merch we offer. Honestly, it's just a bunch of stuff he loves and hopes you love it too! 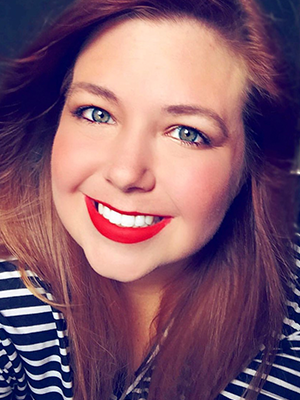 Carise is the originator and creator behind most of the goods at Attractioneering. Once she received her degree in Graphic Design from Full Sail in Orlando, she quickly began working on Attractioneering and her own design firm, Carise Pernell Design Co. Ever since then, she's watched her creations come to life! 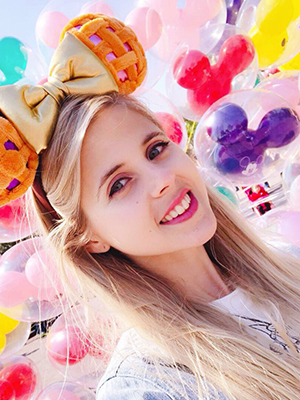 Steve met Hollie Ballard Hockley at Walt Disney World and since then Hollie has moved to China with her husband right next to Shanghai Disneyland! She is a natural talent who designs Attractioneering staples like the Adorable Horribles, Sweet Spells, and much more. Carise and Steve met Amanda Conrad through Instagram and continued a friendship ever since then. Amanda creates art for Hallmark greeting cards and also draws fun pins, patterns, and more for Attractioneering! Her whimsical designs are coming soon!